I’ve been inventing children’s games for over 30 years. Whenever I think about it I’m amazed at how far a good idea can take you! Because that’s all it was, really – one good idea, which became a game and then a company. 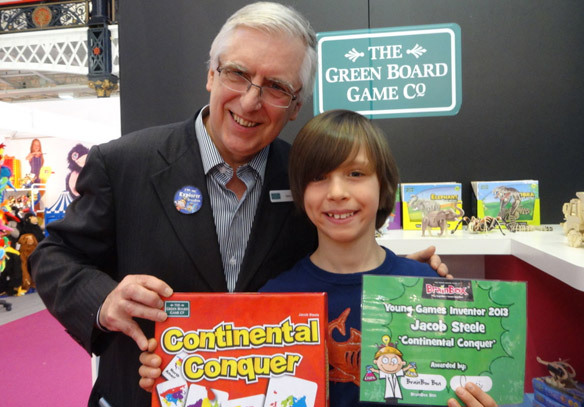 The Green Board Game Company now has over 150 original products, but for me, it’s still all about the ideas. What motivates me to go to the office each day isn’t profit and loss matrices, or marketing tactics, or warehouse delivery schedules – it’s the thrill of invention. I’ve loved it all my life. When I’m at dinner parties and people ask what I do, and I tell them I invent children’s games, I do get the odd funny look. Like that’s something I should have grown out of by now. And to be honest, there is something childish about it all. But that’s no bad thing! Children are natural inventors – we see it in the games they play and the stories they tell. They aren’t constrained by what the rest of us think of as reasonable or realistic; the world is full of possibility. As we grow up that sense of wonder and optimism tends to fade away, which is a shame. My professional life is a constant struggle to reclaim the innocence of youth and let that direct me as I invent. 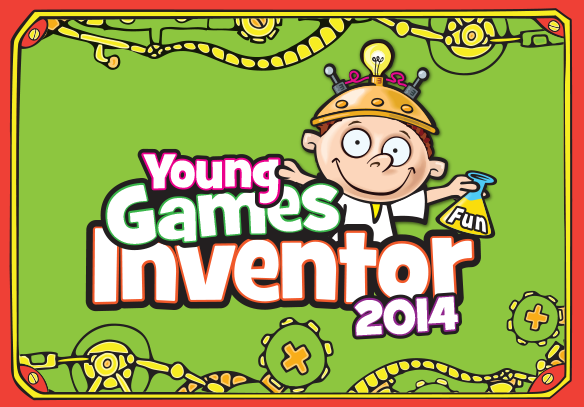 That’s why I’m so excited to launch BrainBox Young Games Inventor 2014. It’s very simple – young people send us their ideas for children’s games, and the best of the bunch is rewarded with their height in BrainBox games and the excitement of having their game brought to life by my team here at BrainBox HQ. It might even be stocked by Ocado! We’ll present the winning inventor with the finished product at the Toy Fair in London in 2015. It’s a great thing to get involved with, and well worth encouraging your children to take part in. You see, in this case, you’re the mother of invention! We’ve even created the BrainBox Ultimate Guide to Inventing a Game to give your child a head start. You can download it for free here. The closing date for entries is 21st September. Let’s get inventing! This entry was posted in Competitions and Prize Draws, Guest posts, Talking Ocado and tagged board games, Brain Box, children's games, competition, create, family games, fun, Games at Ocado, Groceries, Ocado, Ocado deliveries, ocado.com, Prize, Shopping at Ocado, The Green Games Co, Win, YoungGames Inventor 2014 by Naomi. Bookmark the permalink.